More than 130 of the United Kingdom’s climate change researchers have urged the British Prime Minister, Theresa May, to challenge President Trump about climate change during his visit later this week, warning that the UK’s national security is at risk. In a letter made public today (9 July 2018), 135 members of the climate change research community in the UK point out that President Trump’s “policy of inaction” on climate change means that annual energy-related emissions of carbon dioxide from the United States are projected to rise over the next two years. The letter draws attention to a number of actions by President Trump, including his intention to withdraw the United States from the Paris Agreement and his refusal to discuss climate change at the recent G7 summit, as evidence that “the United States Government will not contribute to international efforts to manage the substantial risks caused by rising levels of greenhouse gases in the atmosphere”. 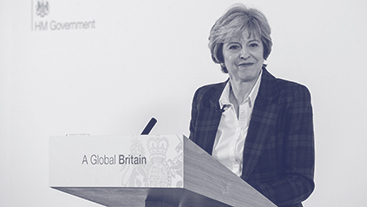 Highlighting the Prime Minister’s “international leadership” on climate change, the letter suggests that the UK Government “can demonstrate, for instance, that economic growth does not have to be sacrificed in order to tackle climate change”. It notes that between 1990 and 2016, the UK’s real gross domestic product per capita, a measure of the country’s average wealth, increased by 46 per cent while its annual emissions of greenhouse gases fell by 41 per cent. Over the same period, the GDP per capita of the United States rose by just 44 per cent and its emissions climbed by 2.4 per cent.